WildTrack is a 501(c)3 based at the JMP Division of SAS Software, USA. 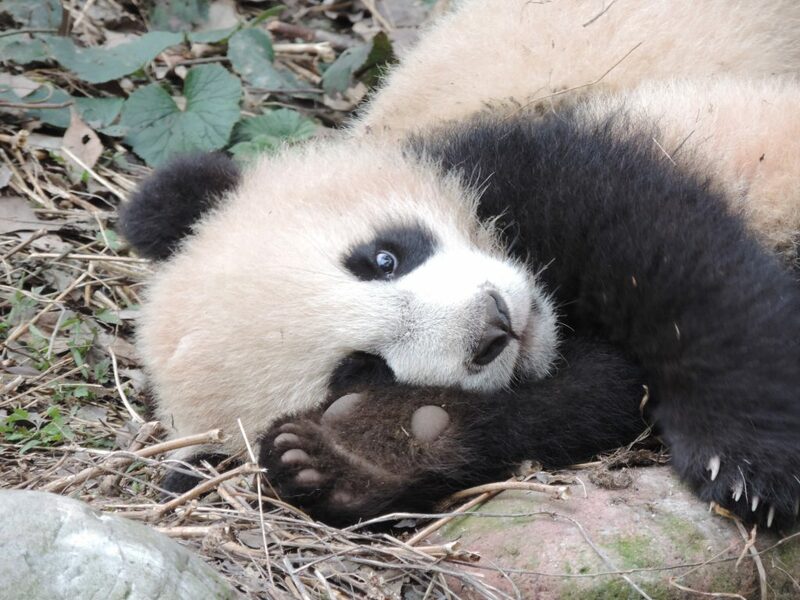 Our mission is to develop and implement non-invasive, community-friendly approaches to provide more effective monitoring of endangered species, to protect them and to reduce human:wildlife conflict. WildTrack has developed a footprint identification technique (FIT) that enables wildlife conservationists to identify endangered species from their unique footprints. This short documentary video by Ray and Susan Ellis of Footpath Pictures (https://footpathpictures.com/filmmakers/) shows WildTrack’s Drs Sky Alibhai and Zoe Jewell tracking cheetah with the San people on the Central Namibian Plateau. 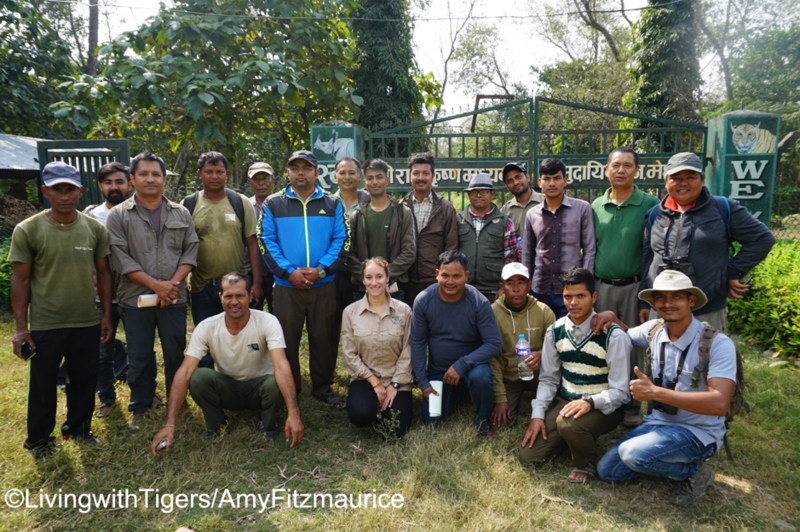 Living with Tigers Project lead researcher Amy Fitzmaurice ran a successful training workshop for Nepal Tiger Trust (NTT) on WildTrack’s Footprint Identification Technique (FIT). The training was part of a new collaborative project to build a database of pictures of Bengal tiger (Panthera tigris tigris) and common leopard (Panthera pardus fusca) tracks. 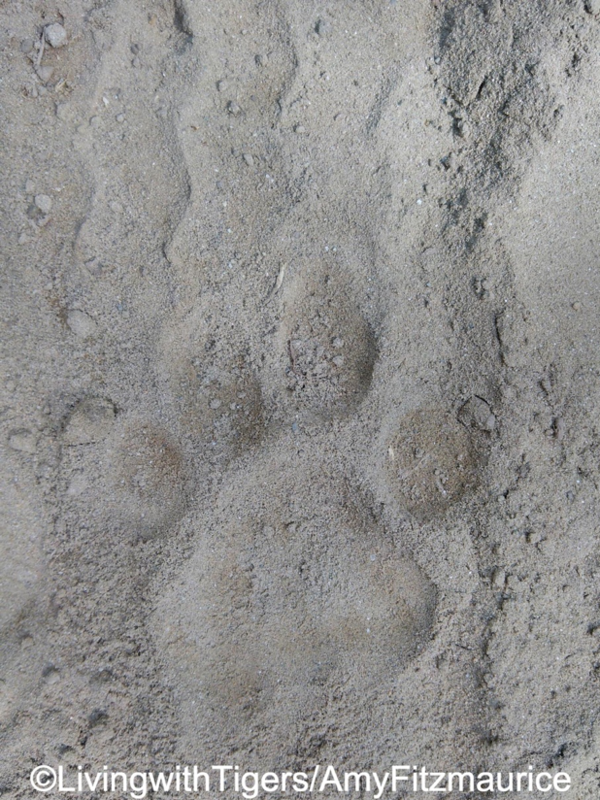 Like humans, each tiger and leopard have individual footprints and we can use FIT software to identify them. This is important for monitoring both endangered species on a regular basis in both National Park areas and community buffer zone areas. This monitoring will contribute towards species conservation plans and conflict reduction management. Both Bengal tigers and common leopards live alongside marginalised communities living inside the community buffer zones and sadly, conflicts do occur between human and felids, and livestock and felids. The Living with Tigers Project has been working to reduce these conflicts over the past two years and to do this, monitoring both species’ movements in relation to human activities is vital for mapping conflict areas and informing communities of strategies to reduce conflicts. This new collaboration with Nepal Tiger Trust, WildTrack and the Living with Tigers Project, means that a long term database of tracks collected on a regular basis will be created. 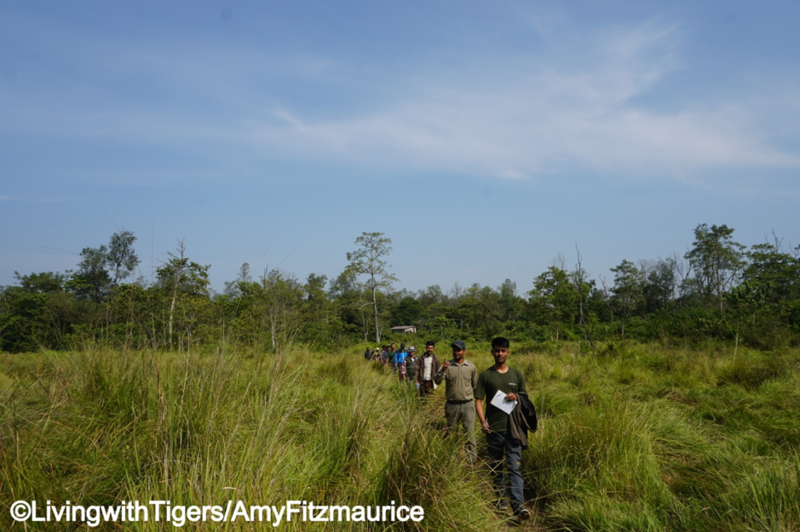 Through the training, we provided capacity building for nineteen local people from Nepal Tiger Trust, staff from Chitwan National Park, local conservationists, and wildlife guides. 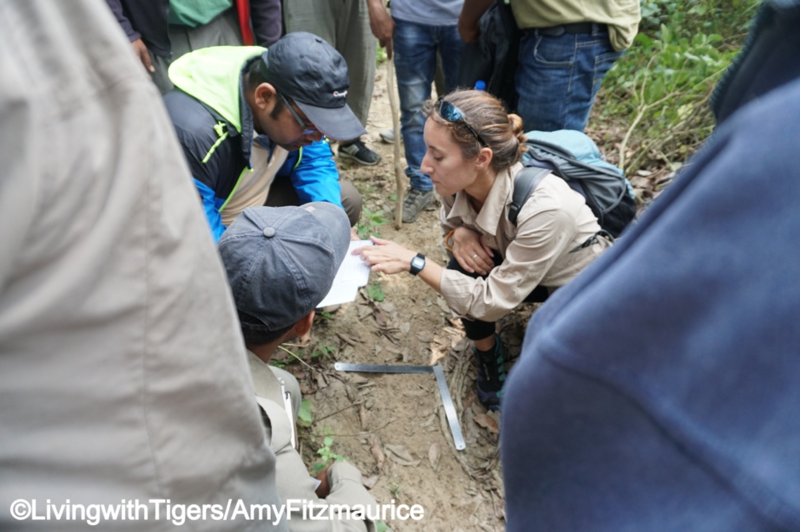 They learnt the FIT protocol and practiced it during a jungle walk where we found fresh tiger tracks from the night before! The Living with Tigers Chester Zoo-led project is run in partnership with Oxford University WildCRU, Green Governance Nepal, National Trust for Nature Conservation and Department of National Parks and Wildlife Conservation, and is funded in part by the Darwin Initiative. Field projects send us footprints, and together with our students in universities around the world we develop species algorithms and help field projects apply the technique. Thanks to generous support from JMP (in which FIT sits) we are also able to help field scientists use JMP data visualization software without additional cost.